Ivanka Marie Trump was born on October 30, 1981, in Manhattan, New York City, United States. She is the daughter of the current President of the United States Donald John Trump and former Czech-American model Ivana Marie. Her parents divorced in 1991 when she was ten years old. She has two brothers, Donald Jr. and Eric; a half-sister, Tiffany; and a half-brother, Barron. She attended the Chapin School in Manhattan until she was 15. Shortly, she transferred to Choate Rosemary Hall in Wallingford, Connecticut. After graduating from Choate, she attended Georgetown University for two years. After that, she transferred to the Wharton Business School at the University of Pennsylvania and graduated with a bachelor’s degree in economics in 2004. She hosted the Miss Teen USA Pageant in 1997. 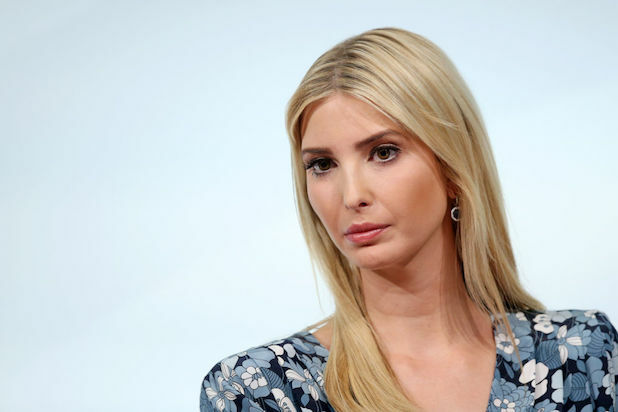 Ivanka Trump’s personal life is as successful as her professional career. She is a married woman since 2009. She is married to her longtime boyfriend, Jared Kushner, Senior Advisor to President Trump. The couple began dating each other back in 2005. The couple broke up in 2008 due to the objections of Kushner’s parents but they got back together and married in a Jewish ceremony on October 25, 2009. They together have three children: daughter Arabella Rose Kushner and sons Joseph Frederick Kushner and Theodore James Kushner. They have been together for over a decade now and their relationship is still going fine. Ivanka is the step-daughter of Melania Trump. Trump began her career as a model in the mid-1970s. Her first cover was a 1997 issue of Seventeen. Since then, she has walked fashion runways for Versace, Marc Bouwer, and Thierry Mugler. Likewise, she has done advertisement campaigns for Tommy Hilfiger and Sassoon Jeans and was featured on the cover of Stuff in 2006 and 2007. Then, she has been featured on the covers of Forbes, Golf Magazine, Avenue, Elle Mexico, and Top Choice Magazine. She was placed number 83 on the 2007 Maxim Hot 100. Ivanka made her TV debut on her father’s television program The Apprentice 5, in 2006. Her first book, The Trump Card: Playing to Win in Work and Life, was published in October 2009. Ivanka began her business career working for Forest City Enterprises in 2004. She joined her family business in 2005. In 2007 she formed a partnership with a diamond vendor, Dynamic Diamond Corp to create Ivanka Trump Fine Jewelry retail store in Manhattan. In November 2011, Trump’s retail flagship moved from Madison Avenue to 109 Mercer Street. She is currently Executive Vice President of Development & Acquisitions at the Trump Organization. She has her own line of fashion items, including clothes, handbags, shoes, and accessories. She has been a very successful person in her career and she has accumulated a net worth of 300 million dollars.